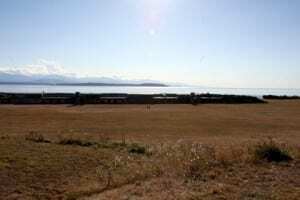 Whidbey Island with Kids: Activities, Restaurants and More! Taking the kids to Washington State’s Whidbey Island for spring break, a summer vacation or day trip? We spoke with Deb Crager, author of 101 Things to Do on Whidbey Island, for her suggestions on what to do on this beautiful 35-mile-long island, an easy day trip from Seattle (it’s only 30 miles north of Seattle), or weekend getaway from British Columbia or North Washington. 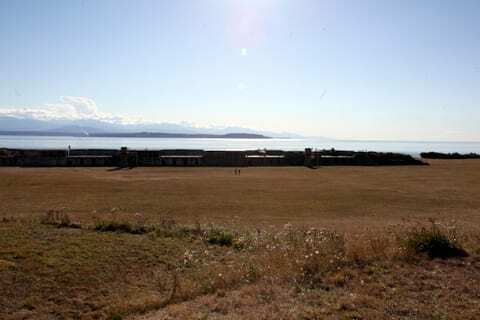 Why is Whidbey Island a great destination for a family vacation? I think there are plenty of things to do for all ages. Being out on the water in a boat, or watching the tankers make their way through the sound, or hiking in the outdoors is always a great way to tire kids out! Environment is very important to the residents of Whidbey, so the water is clean, the beaches are clean. The people are so friendly, you can feel safe bringing your children here. What kinds of things can you do with younger kids on Whidbey Island? The libraries on Whidbey Island have many things for the kids to do, including storytimes and craft projects. Even if the structured events don’t appeal to the kids or you, walking on the beach, collecting the rocks and shells is a timeless hobby. In February, the Mystery Weekend in Langley always has whole families taking the challenge and it seems to keep them going for two days straight! During other times of the year, there is a Fishing Derby for the young kids, a Driftwood Day (a contest to build a themed structure with only driftwood found on the beach), and a contest to build the largest pumpkin at the Coupeville Farmer’s Market in October. Can you recommend any hiking spots for kids on Whidbey Island? It’s pretty rugged, although there is a flat one near Sunnyside Cemetery (Lora’s note: This area is called “one of the prettiest areas on the Pacific Northwest”), and Deception Pass has a short one that’s pretty stable near the bottom (Lora: here’s a map of Deception Pass State Park, including hiking trails) Lots of beaches to roam along though, such as Maxwelton Beach and in the campgrounds at Libbey Road in Fort Casey Park. Do you have any favorite family Whidbey Island beaches? The best beach for kids is Double Bluff Beach in South Whidbey Island. It’s got the gentle open water—with a good view of Mt. Rainier—but also has a small “kiddie” pool, where the water comes up and pools within a small area. The water gets pretty warm there because it’s shallow too. Another place might be Cranberry Lake, which is within Deception Pass Park and completely enclosed, there might even be a lifeguard, but I’m not sure. They also have a place to rent paddleboats and canoes, so I know the older kids like it there too. Lora’s Note: Here’s a great map of family-friendly beaches on Whidbey Island, from the Whidbey-Camano Islands Visitor Bureau. What kinds of things can big kids do on Whidbey Island? Occasionally, there are events for the pre-teens to get together to dance or mingle, usually in Bayview. Other things that might interest that age range are at the Whidbey Highland Games, where the contests with riding and music may interest them. There is a fenced in area that has children’s activities, including jumping platforms, or those with plastic balls. The Coupeville Arts & Crafts Festival in July offers a pirate ship and stations where the young artists can show their stuff! Fishing can be done right from the shore, and paddleboards are often seen in the quieter areas around the island. The Polar Bear Dive might be good for the older kids, there are lots of families that do it every year, and it’s a good fund raiser for the 4-H groups here on the island. Which Whidbey Island activities are great for teens? Again, I think the dances offer some options for meeting other teens, and many teens enjoy going to the fair to see the others, the animals, ride on the amusement rides, basically just hang out! Occasionally, there are art classes that are only for this age range, or they can blow glass at Callahan’s Firehouse in Langley. The state park at Deception Pass also has classes and a learning center where they sometimes have classes. Hiking would be great too. Up at Deception Pass during the summer, you can rent paddleboats or canoes and spend some time paddling around the cove there. Do you have a favorite family-friendly restaurant on Whidbey Island? Whidbey Island is an island that offers so much, every day, every month. There are events every weekend that cover the range of environmental issues to historical events, to art events. There is a lot of topics to choose from, and most of what happens takes place because of volunteers, the great Whidbey residents will make it happen. Enter to win a copy of 101 Things to Do on Whidbey Island by leaving a comment below by Friday, March 22. Winner will be selected at random and notified by e-mail. Just because you’re between vacations doesn’t mean you have to stay home. These nine fun excursions get the family out of the house for the day. Whether you have one or two hours or an entire 12 hours to drive, play and explore, you’ll find a great escape below. How long does it take to get to Whidbey Island? The Mukilteo ferry dock is about 35 miles north of Seattle, then there’s a half-hour sailing time to Clinton. Ferries run every half-hour on weekends and cost $24.85/RT for a family of four. Driving from Clinton to Fort Casey takes about 40 minutes. 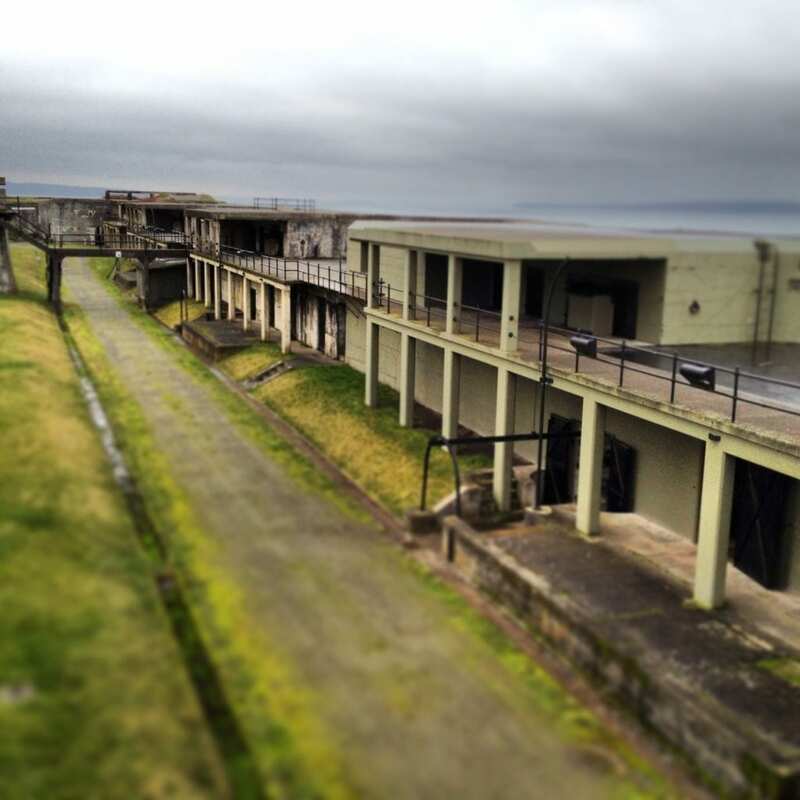 Exploring the Fort Casey Batteries is always a fun thing to do with kids on Whidbey Island. 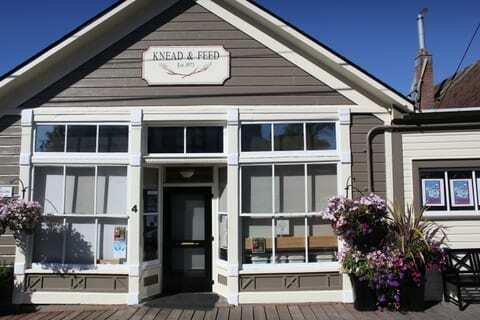 Things to do with kids on Whidbey Island on a day trip? 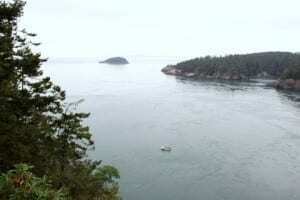 Hike the 30 miles of trails that weave through Deception Pass State Park. Play flashlight tag in the abandoned batteries at Fort Casey State Park. Watch for birds at Ebey’s Landing State Preserve. Learn colors among the rhodies at Meerkerk Rhodedendron Gardens. Enjoy a piece of pie at Greenbank Farm. Pick out the perfect puppet-and-book set at the super-cool Act II Books and Puppets. Watch a second-run movie at The Clyde. Eat at Prima Bistro, a French-inspired Northwest restaurant with a kids menu and crayons. How long does it take to get to Vashon? Take a ferry from West Seattle, then drive a few miles of two-lane country roads. Ferries leave about once an hour, and costs about $26/RT for a family of four in a car. Ferries run mostly once an hour, sometimes twice during peak hours, and sailing time is about 20 minutes. Things to do with kids on Vashon Island on a day trip? Sip lattes and hot chocolates at Cafe Luna. Visit the wall of candy and pick out a new toy (for the kids or yourself) at The Little House. Pack your galoshes and tromp around a Vashon Island beach park. Pay your respects to the hard-working lighthouse at Point Robinson Park. How long does it take to get to Bainbridge Island? A few miles to the downtown Seattle ferry dock. Ferries leave about once an hour, and a round-trip trip costs about $40 for a family of four in a car (with kids over age 6). Passenger-only (walk on) saves about $10 on that total, and most attractions are in the downtown Bainbridge core, which is more like a small town. Things to do on a Bainbridge day trip with kids? Play in the tree house and drive the smart car at Kids Discovery Museum. Shop the stuffed animals at Calico Cat Toy Shoppe. Watch a movie at the Bainbridge Cinemas. Eat a burger in an authentic East Coast-style diner at The Madison Diner. Walk along the waterside and ID native plants along the Waterfront Trail. Eat challah french toast for brunch at Cafe Nola. If you have a car, admire and run through the gardens at the Bloedel Reserve. How long does it take to get to Bremerton and Poulsbo? Ferry from downtown Seattle to Bremerton takes about an hour for the crossing time, then you’ll need to drive another 17 miles to Poulsbo. Ferries leave once an hour – every 90 mins, and costs about $40/RT for a family of four in a car. You can return via Bremerton or push on to Bainbridge Island and sail back to Seattle from Bainbridge. Things to do on a Bremerton and Poulsbo day trip with kids? Tour the U.S.S. Turner Joy Warship’s sleeping quarters, mess halls and artillery. Learn to skate at Bremerton Ice Center. Touch a starfish at the Poulsbo Marine Science Center. Rent a dinghy from Northwest Boat Rentals. Go licorice shopping at Marina Grocery Store. Bite the head off of a maple-doughnut gingerbread boy bought at Sluys Bakery. Shop the tiny bookstore with a generous children’s area — Liberty Bay Bookstore. How long does it take to get to Bellingham? Bellingham is about 90 miles via I-5, or around 1 h 30 m.
Things to do with kids in Bellingham on a day trip? Watch a Tesla coil light up at the Spark Museum of Electrical Invention. Learn about the beauty of nature and science at Mindport. Take your teen to a movie at the Pickford Center. Hike a trail at Larrabee State Park. How long does it take to get to LaConner? Laconner is about 70 miles along I-5, so around 1 h 20 m.
Things to do with kids in LaConner on a day trip? Have breakfast at Calico Cafe. Take pictures at the Skagit Tulip Festival . Buy a new furry friend at Bears ‘N Friends. Enjoy a new read-aloud book and a cup of hot chocolate at The Next Chapter. Take older kids to the low-key Museum of Northwest Art. Work your way through this list of 101+ things to do in La Conner. How long does it take to get to Pierce County? About an hour south along I-5, then along Hwy 167. Things to do on a Pierce County day trip with kids? View Northwest creatures up-close on the tram tour at Northwest Trek Wildlife Park. Step back in time and visit an 1887 homestead, store, school and jail (interestingly, the school and jail are the same building…) at Pioneer Farm Museum and Ohop Indian Village. Take little ones (toddlers and preschoolers) to Discovery Village, where you can sip a glass of wine as the kids dig through rocks, play on the giant tree or run a pizzeria. 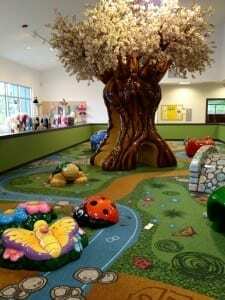 The toddler area at Discovery Village; it’s a fun little place to take kids in Gig Harbor. How long does it take to get to Tacoma? Tacoma is about 40 minutes south, along I-5. Things to do with kids on a Tacoma day trip? Take your toddler to see the fantastic flying machine at the Children’s Museum of Tacoma. Dress up like pioneer at the Washington State History Museum. Watch glass blowers create art (and draw your own — it may be selected to be crafted into a real glass-art piece) at the Hot Shop in the Museum of Glass. Tumble through the giant playground at Point Defiance Zoo and count critters. Guard a 19th-century fort at Fort Nisqually’s Living History Museum. How long does it take to get to Olympia? About an hour south, along I-5. Things to do with kids in Olympia day trip? Shop a pretend grocery or dig in sand at Hands On Children’s Museum. Tour the Washington State Capitol Building with big kids. Then spend a few hours in the local toy stores, cafes and at Olympia’s April-December farmer’s market. Read more here: Daytrip: Olympia with Kids. As you probably know by now, Cascadia Kids isn’t my day job — yet. I write travel articles for a wide variety of print publications, including the Washington State Visitors’ Guide, which is available on many of the Washington State ferries, in the Whole Foods, and at many visitors’ centers throughout the state. Here’s a quick sampling of the articles I wrote for the guide (you’ll find more inside the print pub). Some of the articles focus on places I haven’t yet written my family guides for, including Whidbey Island, Washington Coast and Kitsap County. They’re all on my to-do list, I promise! But the to-do list is pretty long at this point. One more note — Stay In Washington is also offering a two-night stay in Kirkland Washington at The Heathman Hotel, dinner for two at award-winning Trellis restaurant and a couple’s massage at Penterra Spa. The prize drawing will take place on August 22, 2011. Sign up for this Seattle-area sweepstakes at the StayInWashington.com site. Full disclosure: I am paid by Saga City to produce editorial content for Stay In Washington. However, I pay my own way the entire time and I chose my assignment towns and topics, so the suggestions and recommendations are 100% my own. So yes, if I point you to a doozy of a museum or destination, no one else is to blame. But I think the recs here are solid. Washington State deals for family trips in Seattle, Bellingham, the Olympic National Forest, the San Juan Islands and more!